Short on time? 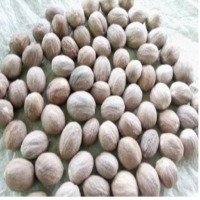 Let nutmeg sellers contact you. 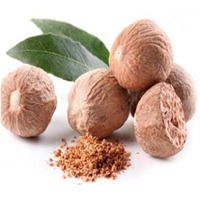 Nutmeg and mace spice contains many plant-derived chemical compounds that are known to have been anti-oxidant, disease preventing, and health promoting properties. 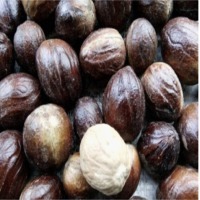 The spicy nut contains fixed oil trimyristin and many essential volatile oils such as which gives a sweet aromatic flavor to nutmeg such as myristicin, elemicin, eugenol and safrole. The other volatile-oils are pinene, camphene, dipentene, cineole, linalool, sabinene, safrole, terpeniol. 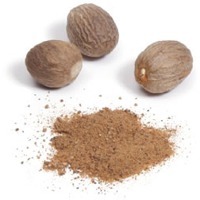 The active principles in nutmeg have many therapeutic applications in many traditional medicines as anti-fungal, anti-depressant, aphrodisiac, digestive, and carminative functions. 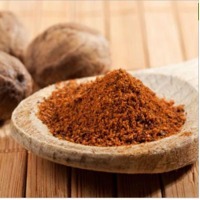 This spice is a good source of minerals like copper, potassium, calcium, manganese, iron, zinc and magnesium. Potassium is an important component of cell and body fluids that helps control heart rate and blood pressure. 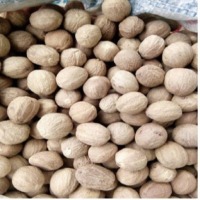 Manganese and copper are used by the body as co-factors for the antioxidant enzyme, superoxide dismutase. Iron is essential for red blood cell production and as a co-factor for cytochrome oxidases enzymes. It is also rich in many vital B-complex vitamins, including vitamin C, folic acid, riboflavin, niacin, vitamin A and many flavonoid anti-oxidants like beta-carotene and cryptoxanthin that are essential for optimum health. 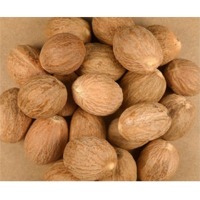 Nutmeg is a hard brown seed with a warm and spicy-sweet flavour. 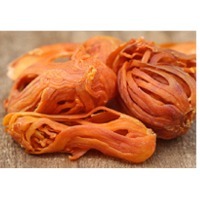 They are used as flavour and spice enhancers in several dishes. 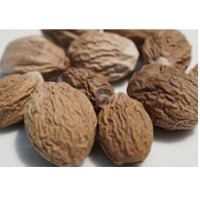 We supply unadulterated and aflatoxin tested nutmeg as per the guidelines given by spices board of India. 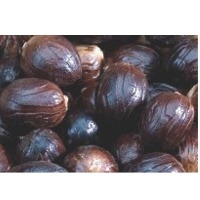 We offer Premium Quality Whole Nutmegs with quality assurance. 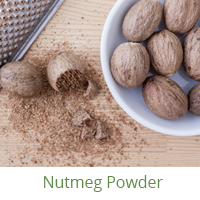 Apart from whole nutmegs, we also offer powdered nutmeg. 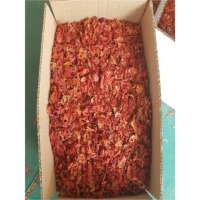 In powdered form, it can be used as a seasoning agent and added to cream sauces, squash or root vegetable dishes, stewed greens, fruit pies or as a fragrant garnish for hot beverages. 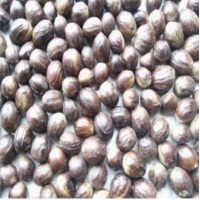 Nutmeg is a spice that is indigenous to Moluccas. 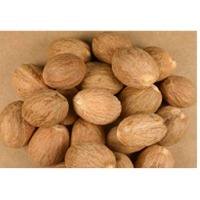 Nutmeg is used as condiment especially in sweet foods. 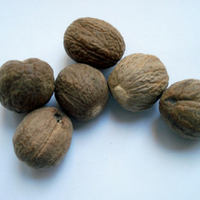 The nutmeg fruit is a fleshy drupe with spherical shape. 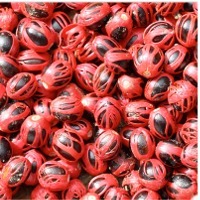 When it matures, the fruit bursts open,exposing the mace which covers the black shell. 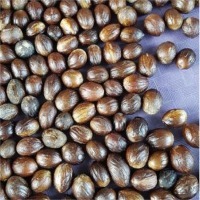 Nutmeg kernel is then dried under the sun for several days to weeks. 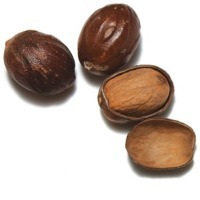 At the larger commercial setups, this process is accomplished rather more rapidly over a hot dryer machine until the whole nutmeg rattles inside the shell. 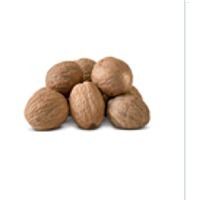 Its shell is then cut open and a single, shriveled nutmeg kernel is then taken out.